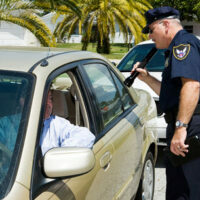 DRIVING A RENTAL CAR, CAN THE COPS SEARCH IT? * The case: Terrence Byrd pled guilty to charges of possessing heroin with intent to distribute and possessing body armor as a prohibited person. Byrd was arrested after police officers found heroin and body armor in the trunk of a rental car Byrd was driving. The arresting officer had pulled Byrd over for a traffic violation. The car had been rented by Byrd’s fiancé, and Byrd was not listed as an authorized driver on the rental agreement. Byrd sought to suppress the evidence the officers found, arguing that the officers’ search and some circumstances of the traffic stop violated his constitutional rights. The Third Circuit concluded that because Byrd was not listed as the renter nor as an authorized driver on the rental agreement, he had no reasonable expectation of privacy as to the car and therefore could not challenge the constitutionality of the officers’ search. * The issue: Does a driver have a reasonable expectation of privacy in a rental car when he has the renter’s permission to drive the car but is not listed as an authorized driver on the rental agreement? * The outcome: In a unanimous opinion, the U.S. Supreme Court vacated the Third Circuit’s ruling, holding that a driver has a reasonable expectation of privacy in a rental car when he has the renter’s permission to drive the car but is not listed as an authorized driver on the rental agreement. Terrence Byrd was driving on a divided four-lane highway near Harrisburg, Pennsylvania, when he was pulled over allegedly for violating a state law requiring drivers to use the left lane for passing only. Recognizing the car as a rental car, the officers asked Byrd for his license and rental agreement, which he had difficulty locating. Once he did locate them, the officers noted that the rental agreement did not list Byrd as an authorized driver, and when they ran his identification, they noted that he was using an alias and had an outstanding warrant in New Jersey. Despite the warrant’s indication that it did not request extradition from other jurisdictions, the officers attempted to contact authorities in New Jersey to confirm they did not seek Byrd’s arrest and extradition, allegedly following protocol for such situations. The officers experienced difficulty with their communications, however, and returned to Byrd’s car, where they asked him to exit the vehicle and about his warrant and alias. The officers asked whether Byrd had anything illegal in the car and then requested Byrd’s consent to search the car, noting that they did not actually need his consent because he was not listed on the rental agreement. The officers allege that Byrd gave his consent, but Byrd disputes this contention. The subsequent search turned up heroin and body armor in the trunk of the car. At trial, Byrd moved to suppress the evidence, challenging the initial stop, the extension of the stop, and the search. The district court determined that the violation of the traffic law justified the initial stop and that the extension of the stop was justified by the officers’ developing reasonable suspicion of criminal activity. Byrd maintains that he did not consent to the search, so the issue remains whether he needed to consent at all-that is, whether he had a reasonable expectation of privacy in the rental vehicle, despite not being listed on the rental agreement. If he did not have a reasonable expectation of privacy, then the officers’ search of the vehicle did not require his consent. There is a circuit split as to whether an unlisted driver of a rental car has a reasonable expectation of privacy in the rental vehicle, and the Third Circuit (where the district court in this case sits) has held that such a driver does not. Thus, the district court denied Byrd’s motion to suppress, and the Third Circuit, reviewing the factual questions for clear error and the legal question de novo, affirmed the judgment of the district court. In a recent unanimous opinion, the Supreme Court in Byrd v. United States, No. 16-1371, held that a driver who has permission to use a rental car is generally entitled to the same Fourth Amendment protections as the driver who rented the car. The Court’s decision came in the case of Terrence Byrd, who was driving a car rented by his fiancée. The car was pulled over, law enforcement gave Byrd a warning for his driving, and then law enforcement searched the car believing it did not need Byrd’s consent because Byrd was not listed on the rental agreement. Law enforcement found body armor and 49 bricks of heroin in the trunk, for which Byrd was charged. The district court rejected Byrd’s argument that the heroin and body armor could not be introduced as evidence because the search of the car violated his Fourth Amendment rights. The Third Circuit upheld the conviction, holding that the driver of a rental car who is not listed on the rental agreement does not have a reasonable expectation of privacy in the car and cannot challenge a search. The Supreme Court reversed. The Court rejected the argument that a driver who is not listed on the rental agreement can never have a reasonable expectation of privacy in the car because the rental company has not given him permission to use it. The Court explained that whether someone has an expectation of privacy in a car should not depend on whether the person who gave them permission to drive it owns the car or rented it. The Court also rejected the government’s argument that Byrd could not have had an expectation of privacy because the rental agreement signed by Byrd’s fiancée was violated. The Court remanded the case to the Third Circuit to consider alternative grounds for finding whether Byrd lacked an expectation of privacy. Contact Nicholas G. Matassini, a Board Certified Criminal Trial Lawyer, for a free confidential consultation regarding your State or Federal motion to suppress evidence. Since 1976 The Matassini Law Firm, P.A. has provided comprehensive representation in State and Federal criminal investigations, including post-conviction and appellate assistance.